Nutrition during pregnancy and in the first years of a child’s life provides the essential building blocks for brain development, healthy growth and a strong immune system. In fact, a growing body of scientific evidence shows that the foundations of a person’s lifelong health are largely set during this 1,000 day window. This is the most rapid period of brain growth and its period of highest plasticity is in the last trimester of pregnancy and the first three years of life. Week 4 of the Legislative Session centered around the passing of the proposed 2018-2019 state budget by the full Appropriations Committees in both chambers. The proposed Senate budget (SB 2500) is $87.3 billion and the House plan (APC 18-01) is $87.2 billion. These budgets include modest increases for School Readiness and an increase for Voluntary Pre-K (VPK) funding in the Senate. With the House and Senate budget committees approved, this sets the stage for full chamber votes next week and a budget conference the following week. Several bills of importance to The First 1000 Days were heard during Week 4. It has been proven that much of what is needed to succeed in life is established before entering kindergarten. 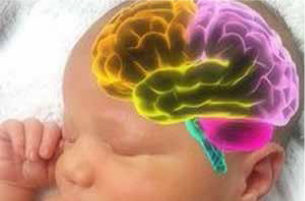 During the period age 0-3, the human brain undergoes rapid development. It is a period when a child builds cognitive skills which are the foundation for reading, math, science and academics as well as character skills, social-emotional growth, gross-motor skills and executive functioning, which includes everything from impulse control to problem solving. These foundational skills allow children to build on their learning and knowledge through school and into adulthood. 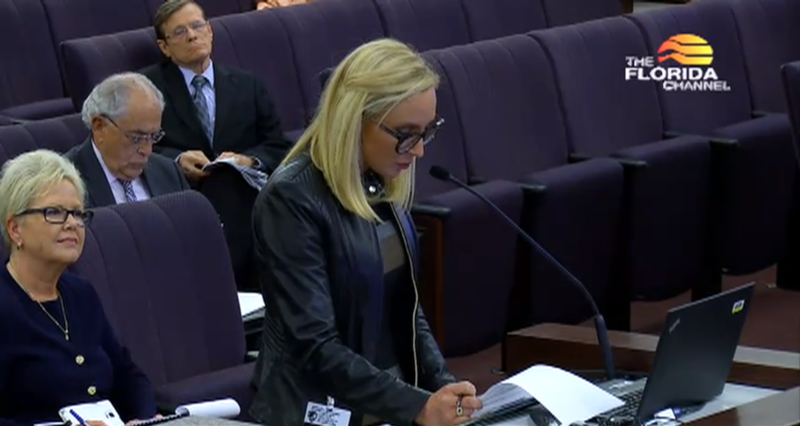 CS/HB 1091: Early Learning, sponsored by Rep. Erin Grall, (R-Vero Beach) requires the Office of Early Learning to adopt program accountability measures, including a School Readiness provider program assessment of teacher-child interactions. The intent of this assessment is to begin to eliminate the lowest performing providers and establish a baseline for improvement and performance-based reimbursement. An appropriation of $5.9 million federal trust fund dollars will pay for these baseline assessments. HB 1091 is awaiting action in the Pre-K-12 Appropriations Subcommittee.The companion bill, SB 1254 by Sen. Passidomo (R-Naples) was heard in the Education Committee on January 29th and will be heard in the Judiciary Committee on February 6th. A bill relating to Early Learning Coalitions, SB 1532, was filed by Sen. Kelli Stargel (R-Lakeland). The House companion, HB 1175 by Rep. Jennifer Sullivan (R-Eustis) authorizes an early learning coalition to terminate a contract with School Readiness program providers for a class I health and safety violation. SB 1532 was reported favorably by the Education Committee on January 29th. HB 1175 was reported favorably by the Pre-K-12 Quality Subcommittee on January 25th and has been placed on the House floor on second reading. While the first 1,000 days of life offer the most opportunity for development, it is also the most vulnerable time for maltreatment. Consequently, The First 1000 Days Coalition supports funding to invest in Florida’s Early Childhood Court (ECC) program to order to assess potential benefits and the need for further expansion. ECC addresses child welfare cases involving children under the age of three. It is a problem-solving court where legal, societal, and individual problems intersect. ECCs provide monthly hearings in front of a judge; team meetings facilitated by a community coordinator to fast track integrated services; and intensive child/parent therapy to heal trauma and break the multigenerational cycle of abuse. Florida is currently serving 334 children across the 19 ECC sites throughout the state. SB 1442 by Sen. Lauren Book (D-Plantation) and HB 1351 by Rep. Bobby Payne (R-Palatka) establish the Early Childhood Court in statute and provide resources for supporting the program. The legislation would also require the Florida State University Center for Prevention and Early Intervention Policy to hire a statewide clinical consultant and assemble a clinical oversight team. The proposed policy includes provisions for the Florida Institute for Child Welfare to conduct an evaluation of the program’s impact in consultation with the Department of Children and Families, the office, the center, and a specified organization. SB 1442 was reported favorably by the Children, Families, and Elder Affairs Committee on January 29th. HB 1351 awaits action in the Appropriations Committee. Learn more about these priorities here. Track the proposed bills and budget requests that support these priorities here. Sources: United Way’s Legislative Link, and The Florida Children’s Council’s Capitol Connection. Sen. Lauren Book (D-Plantation) presented SB 1442, establishing Early Childhood Court in statute, providing resources to support the program. Sen. Book shared her experience from a visit to Early Childhood Court in Broward County in December 2017. Click on the photo above for the full video (starting at 25 minutes). 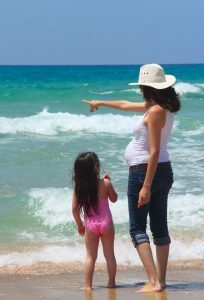 Two federal programs – the State Children’s Health Insurance Program (SCHIP) and the Maternal, Infant & Early Childhood Home Visiting (MIECHV) initiative – provide critical resources for Florida’s children and their families during the First 1000 Days. Authorization for both of these programs ended September 30, 2017. However, a bipartisan group of senators worked successfully to secure a six-year reauthorization of CHIP that was signed into law on Monday, January 22nd. The First 1000 Days Florida Coalition urges Congress to take immediate action to reauthorize the MIECHV program that is continuing with short term funding. An opportunity to reauthorize the MIECHV program will occur in the next couple of weeks when Congress once again has to pass a continuing resolution to keep the government open. HM (House Memorial) 817 by Rep. Gayle Harrell (R-Stuart) is a memorial to the Congress of the United States imploring the renewal of the Title IV-E Waivers for child welfare services. Florida is one of 26 states that have approved agreements with the federal government for the administration of child welfare services. Florida’s variance permits it to use funds for services beyond out-of-home care this removes the financial incentive to remove a child when it may not be the appropriate action. HM 817 was adopted by the full chamber on January 31st and heads to the Senate. Mark your calendar and plan to be a part of Florida’s premiere multi-disciplinary, cross-sector summit focusing on child health and well-being, prevention of abuse and neglect, trauma-informed care, early child development and school readiness during the critical first 1000 days of life. The 2018 First 1000 Days Florida Summit will be held September 26-28 at the Palm Beach Convention Center. The 2018 summit includes six plenary sessions featuring national experts and thought-leaders, and over 40 educational and skill-building workshops for professionals and programs serving families with children age 0-3. Conference registration will open in February, 2018. Marquee sponsors for the 2018 event are the Children’s Services Council of Palm Beach County and the Florida Maternal, Infant & Early Childhood Home Visiting Initiative. The 2018 summit will also include a Poster Showcase highlighting innovative front-line programs and practices from the field. Watch for the Call for Abstracts in February. Copyright © 2018 First 1000 Days Florida, All rights reserved.